D.C. paralegal Jezebel Stone’s tardiness often gets her in trouble, but this time it leads to meeting her dream man. Her choice of metro seats places her on track for finding love again. 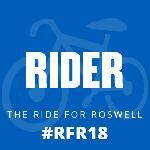 But when their ride ends in a fiery crash, their separation sends her on a mission of reuniting with him and finishing their fateful trip. But instead, it entangles Jezebel in the twisted lives of those determined to destroy each other. This prickly path also holds the potential of leading Jezebel to an unlikely place of joy. Finding joy seems impossible when life is literally exploding all around her. children’s book, CONFETTI THE CROC, in 2014. Her debut novel, RENAISSANCE OF THE HEART, was released by Soul Mate Publishing in 2014 and recently was awarded the SILVER medal by READERS’ FAVORITES in women’s fiction. 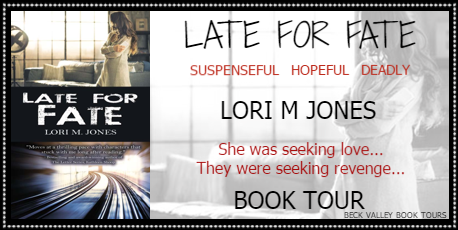 Her second novel, LATE FOR FATE, is forthcoming June 1st through Wild Rose Press. Foundation and the president of Pennsylvania Chapter. She was awarded the Community Quarterback Award by the Philadelphia Eagles for her work with the Children’s Heart Foundation. Lori travels to schools and libraries delivering assemblies on writing stories from the heart. She is also on the writing team at North Way Christian Community Church. When Lori is not writing or spreading awareness for Congenital Heart Defects, she can be found cheering on her beloved Pittsburgh sports teams and participating in 5Ks. 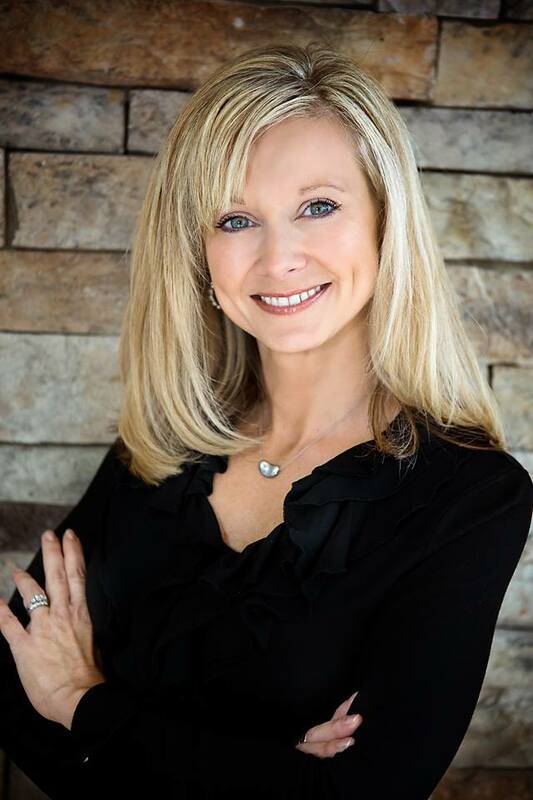 Lori holds a bachelor’s degree in communication and journalism from the University of Pittsburgh at Johnstown and a paralegal certificate from Duquesne University. She is a former Washington D.C. paralegal and now resides in her hometown of Pittsburgh with her family. 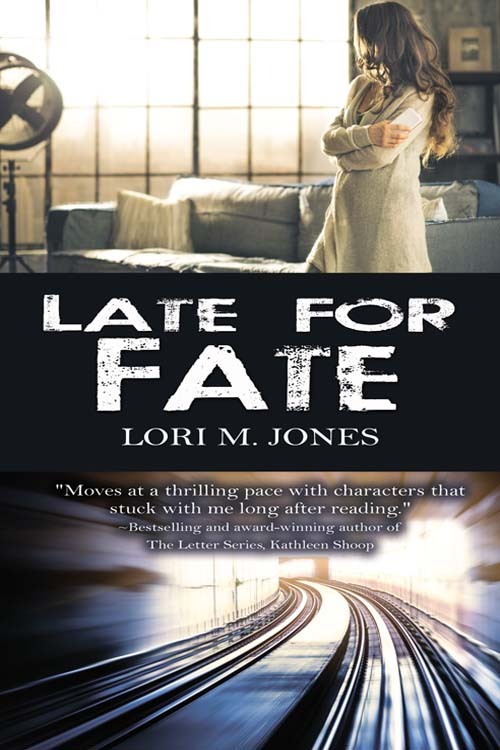 Late for Fate is the first book I’ve read from Lori M Jones. 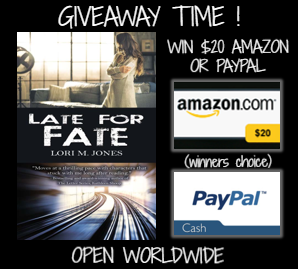 I loved the premise of the book and thought the writing was great. I understand the anxiety that Jezebel feels after she is in a Metro accident. I am not sure I could ever get back the Metro after an accident. I might even be comfortable with driving in the city to avoid public transportation. I also can put myself in her shoes as she tries to find or hopes to hear from two people from the accident. She wants to find the person who saved her but she has no idea at all who it was. She also wants to have contact again with the man she had a connection with during the ride. Jones put quite a twist into the ending. I wish I knew what was going to happen next. I am waiting to find out. Pick up your own copy and see what you think. You’ve got me intrigued with the twist! !